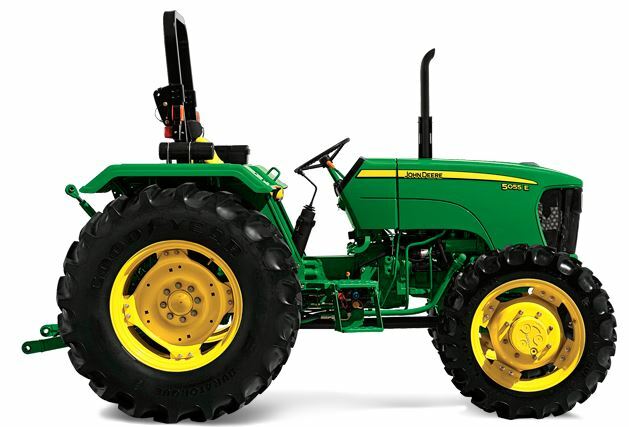 Are you looking for the latest tractor 65hp 4WD of John Deere? Then you are at a perfect place where you can get all kinds of information about John Deere latest tractors. 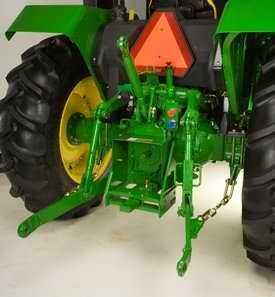 Here we are going to provide you all genuine information about the latest model of John Deere 5065 E 4WD 65 HP. Let’s find out its overview, price, technical specifications, key features, transmission, hydraulic systems, PTO, brakes, wheels and tyres, dimensions and weight, electrical systems, Options, optional accessories etc. Check it out below. 5065 E 4WD 65hp has the all-new modern and Innovative technology, the all-new design concepts and features. Transmission of it four wheel drive and perfect for heavy duty forming operations. It’s a tractor that defines the standard of performance & productivity with excellent features that make it comfortable with power. 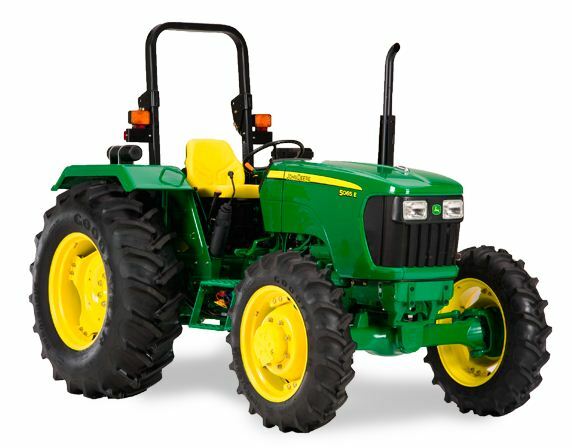 Price of John Deere 5065 E is around Rs.795,000/-. 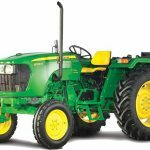 John Deere 5065E Pirce in Punjab: Rs. 795,000/- Ex Showroom. John Deere 5065E Pirce in Madhya Pradesh: Rs. 795,000/- Ex Showroom. 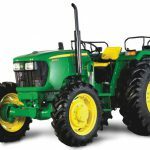 John Deere 5065E Pirce in Maharashtra: Rs. 795,000/- Ex Showroom. 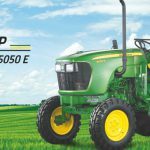 John Deere 5065E Pirce in Gujarat: Rs. 795,000/- Ex Showroom. John Deere 5065E Pirce in Rajasthan: Rs. 795,000/- Ex Showroom. The 5065 E 4WD 65hp is equipped with a 2.9 Liter(179 cu in) turbo-charged engine which is producing 65 [email protected],400 rpm. Compared to the average utility tractor which produces 93 horsepower, this model produces 65 hp, 30.1% less, not a major concern unless you intend to lift particularly heavy loads or pull especially heavy implements. In addition, the engine produces 53 power take-off (PTO) horsepower, 32.9% less than the utility average of 79 hp, worth noting if using implements is important in your decision. A dual clutch includes both the transmission, traction clutch and the PTO clutch in one pack. The transmission, traction clutch is foot operated while the PTO clutch is operated independently of the transmission using a separate hand lever. 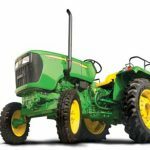 The synchromesh transmission (TSS) is designed to increase the excellent power and torque characteristics of John Deere tractor engines. Transmission durability is great with the pressure lubricated top shaft, allowing an operator to achieve high performance. 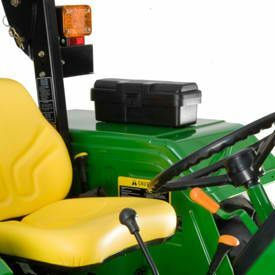 John deere is a well-known manufacturer all over the world for its power performance and features. 5065 E 65hp is an example of the modern technology of John deere. Overall this tractor has great power with comfort. I hope you would like our article on John deere 5065 E 65hp. 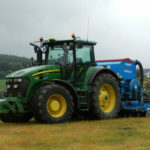 It would be helpful to buy a new tractor or compare with other tractors. If you have any question or query please contact us or comment below. We will solve it. Thanks a lot. 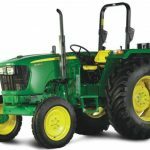 Posjedujeli traktor john deere 5065e kompresor.